The partition of India was based on the premise that a Bengali Muslim would be able to identify with the sorrows and issues of a Punjabi Muslim more than a Bengali Hindu. Of course, that was a vicious and diabolic notion because I believe that culture and heritage stand above religion. I recently visited the dilapidated temples and gurdwaras of Rawalpindi and realised that the city still sings of her secular past. In the early 19th century, the British made Rawalpindi the central seat of military power as they aimed towards Afghanistan. This was in line with their strategic approach towards the Russian Empire in order to enjoy and retain complete control over central Asia. Known as the Great Game, the conflict continues today in another form. After the partition in 1947, Rawalpindi continued to be the general headquarters of the army. But Pindi has a lot more to tell than just it’s military tales. The city is known for its heritage and culture. Its multi-religious character changed when almost all of its Hindu and Sikh inhabitants left for India. Sixty five years after partition, I went looking for their temples and Gurudwaras. Walking around the old city, in areas like Krishanpura, Akaal Garh, Mohanpura, Amarpura, Kartarpura, Bagh Sardaraan, Angatpura, you can see Pindi’s heritage. There are about ten dilapidated temples and Gurdwaras which are no longer functional. One temple located at Kohati Bazaar is in good condition. Its premises are used as a government school for disabled children. Another beautiful Gurdwara known as Bagh Sardaraan is used by the Punjab Police as their main office. The temple located at Government Asghar Mall College is used as a scrap yard. A Shiva temple at Gunjmandi now houses storerooms or shops. There are a few more abandoned temples scattered around College Road, Bohar Bazaar, Purana Qilla, Bagh Sardaraan and then some on the outskirts of Rawalpindi which are about to collapse, or so it seems! In the old area of Lunda Bazaar, there used to be three temples, a Gurdwara, a Khalsa School and many Havelis belonging to the Hindus and Sikhs of the time. Of the three temples, two have survived. The third, of goddess Kali in the main bazaar, no longer exists. It has been converted into living quarters and extensions have been made, thus changing the original structure entirely. In Lunda bazaar, there is a tall structure of a temple known as Mohan Mandir. This temple is believed to have been built by two Hindu Hakims in 1930, Hakim Asa Anand and Hakim Moti Ram. 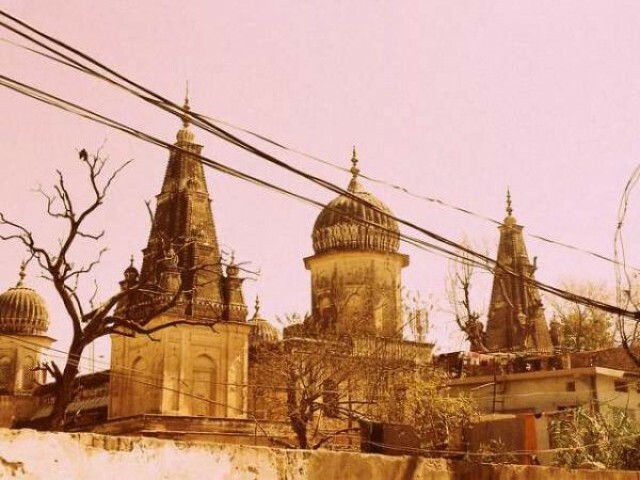 It is sad that even though there are so many abandoned temples in Rawalpindi and Islamabad, there is not a single place for the Hindus living in the twin cities to celebrate their festivals like diwali, shivratri or holi. There are more than 25,000 Hindus living in Rawalpindi and Islamabad. Some of them have migrated from other parts of Pakistan, mainly from Sindh. Recently, following a request from Ramesh Lal, a Hindu parliamentarian of the ruling Pakistan People’s Party, Prime Minister Raja Pervez issued a directive to the chairman of the Capital Development Authority to build a new temple for the Hindu community. That is undoubtedly a good gesture, however, the government must also urgently restore and preserve the old heritage of the city- if not for the sake of the minorities still prevalent in our country then at least for the sake of history and heritage. Am I a 'ganwaar' if I speak in Punjabi? Rawalpindi: Parsi places of worship... still exist! That’s a false myth. Religion stood above “culture and heritage” in 1947 when Punjab and Bengal were divided. After all, your culture comes from your religion. So is theirs. Why do you think you’ve never visited temples and gurdwaras? Your name is not Ranjit Singh or Rahul Khanna either so what makes you say the above silly statement. Next time, take a trip to Punjab in India and wonder what happened to our mosques there. Millions of Muslims left East Punjab to come to Pakistan. Surely, there are mosques left behind there or have they all been destroyed, stolen and converted into gurdwaras?. Atleast these mandir’s are not intentionally vanished like Babri Mosque. 65 years. One Mosque structure (no prayer offered for 150 odd years). Thats all you have to show against turning Temples into police stations, godowns, offices etc. Have some sense of proportion. How do you know about Shahrukh Khan and Shabana Azmi’s status? Did you personally have a conversation with them? Last time I checked they were both Billionaires at least. Let the Pakistan Govt. repair and restore the beautiful hindu temples, and let the people of the vicinity are show respect for the places where people of the land of a different faith got together and offered their prayers. This should also set the process of healing among different sections of muslims who live in the vicinity as well. If today you ask any pakistani, who are better muslims? the current citizens are the citizens of same land 200 years ago. Most of them will say that people from past were better muslims. Little would they realize that the better muslims were more open to other religions and tolerated their religious places. So if you want to be a good muslims then please tolerate other religions. There are 300% more functional mosques today in India , than they were in 1947. The muslim community itself is 3 times the number in 1947 and a greater percentage of the population. Just the opposite is the case in Pakistan. FYI Do you know which country in the world has the most number of mosques? Author : Great job. Very interesting pictures. In this very same article, the author says that Hindu temples have been converted into offices and schools and that the 25,000 Hindus of Rawalpindi have no temple to go to. Show me a city which has even a thousand Muslims in India where there is not a functioning mosque. Quoting the solitary episode of Babri masjid is pointless. The reason people still talk about it is because it is the Indian press and politicians and media made a big deal about it. Just last month an Indian temple was razed to ground in Pakistan despite court stay orders and no one even talks about it. Several churches were also destroyed in the last couple of months in Pakistan yet no one talks about them. In Pakistan no one cares and hence it becomes a non issue after a 24 hour news cycle. In fact as @Dang said the population of Hindus and Sikhs which was 20% in present day Pakistan in 1947 has been driven down to less than 2% now. Discrimination against non-Muslims is embedded in your constitution , so the notion that somehow these temples represent religious freedom and tolerance is laughable. In India there are Buddhist remains, which are recognised as Historical sites and protected. There’s a lot of tourist traffic to these places, even among the locals. The marked difference is because Indians are proud of their Buddhist heritage. Once most of India was Buddhist. The Temples and Gudurwaras rot in Pakistan because Pakistanis, unlike Indians, are not proud of their History, the fact that their ancestors followed a pagan culture. Its not surprising. From 20% to 2% Hindu/Sikh population in just 6 decades. what happened to mosques in Punjab in India? Good question. Here is the answer. What is your next question? @kaalchakra: A little rebuttal for your (and Hafiz Saeed’s concern in Shah Rukh’s own words. “”We have an amazing democratic, free and secular way of life. In the environment that we live here in my country India, we have no safety issues regarding life and material. As a matter-of-fact, it is irksome for me to clarify this non-existent issue”. Shah Rukh said. Elsewhere he said “”It (article) does not even vaguely say that I am ungrateful for the love I have received in a career spanning 20 years. On the contrary, the article says that in spite of the bigoted thoughts of some of the people that surround us, I am untouched by sceptics because of the love I have received from my countrymen and women,” he said. The following is the extract from Sheikh Ayaz ( The great Sindhi poet) poetry regarding a friend who migrated from Sindh to India after Partition of 1947. In reply The Narayan Shyam wrote that Please donot kill a Sharnarthi (refugee) in Sindh because I am Refugee here in India. huna tay keean bandooka KhaRNa maan! hina Khay golee keean haRNa maan! How can I point a gun at him! How can I shoot him! We hindus by nature respect other’s beliefs !!! there are more than 7 billion people living in this world ! if god wished he/she could have made everbody of same faith !!! it is not so! Eskimos have their wisodm ! if I impose my wisdom then iam not a civilised man !!! I am not from Pakistan but would support the efforts of those who would undertake to restore and renovate ancient temples buildings as part of the cultural heritage. What the Indians have done in their land to mosques, this is their business and reflects on their cultural upbringing. A civilisation is not born but nurtured over thousands years of history. Too much was lost during the the two centuries of occupation in your land but what is remaining needs restoration as part of heritage and without favouring one or other people. Most shameful I find about Indians is their hate towards women and especialy in the city where the Mongol monarch constructed one of the world wonders to demonstrtate his love for the Queen. 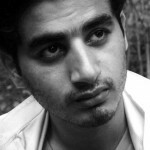 I write as a Muslim whose ancestors were Hindu. My religion, Islam, is rooted in Judaism, while my Punjabi culture is tied to that of the Sikhs. Yet I am told by Islamists that without shedding this multifaceted heritage, if not outrightly rejecting it, I cannot be considered a true Muslim. citizenship. On the other hand, Muslims cannot even dare to imagine suchrights in present-day Islamic States. Shahrukh Khan should be greatful to the country which has made him rich, and not squak ike the blacks in the western countries. There is a discrimination all over the world and in all cultures, but they are ethnic or religion related. when a republican congressmen accuses Obama of laziness, the blacks spokesman Collin Powel calls it racist and remembers the slavery days. SKhan should choose his words with care and show a bit of loyalty an tolerence to the country which provides him bread and butter. Islam is not rooted in judaism! The jews refused to accept Jesus(pbuh) a Prophet of God, and the christians later upgraded his status from prophet to son of God. Mohammad(pbuh) the last Prophet of God brought reforms in the Ibrahimic faith of all three religions. A muslim is no more than a person who promises to adhere to the prescribed tenets of Islam and live the life which reflects the values of Islam. This does not mean that he is automaticaly a muslim, only with deeds will he be judged by the al mighty God.I do not know who are the so called Islamists you are referring to? For your information, Indians and Pakistanis were ONE CULTURE till 60 years ago. The vacuum that everyone is aware of in defining the modern-pakistani identity is a direct result of the post-independence alienation. And what is happening to women in India is not radically different from the tratment meted out to them in Pakistani society. God has made man, but man has made religion. God resides in a man’s heart, mandir,masjid and church are where we think HE resides. You said one culture? Do not raise vexed questions. This is not what Mr Jinnah said! One heritage, yes but different cultures. Hindus have remained in the limbo status of ancient times of mythologies of the primitive world. You should thank the sons of Mongols who did not eliminate you as our ancestors did with the pagans in Europe, Africa and Americas. The answer is very simple! People who have interest in civilisations and history folow this rai all over the world. Why should I look for ancient buildings ad monuments and excavation sights in the german speaking countries? And why should I look for graves of celtics in France? There are people who do it because archeology and interest in architect and ancient humans is their professional line. An if you would have smilar interests then you will discover that until lately unknown tribe in the amazon delta worship is no different than that which the hindus have been following since ancient times in India. The only exception being the temples which the amazonians do not have. Very well said. People have been made to vanish. @Jinnah: what about somnath mandir? first you should wipe yours clean before trying to wipe others . @Jinnah: Worship in Babri stopped long back as the Muslims felt that it was a Mandir.The archeologists who excavated this site was BB.Lal.He wrote that there was a temple in that site and had been destroyed.This was long before the controversy started seriously by BJP. Further when L.K Advani went on rath yatra,an asst.Archeologist who worked under BB Lal confirmed in the Indian Express that there was indeed a temple and HE WAS A MUSLIM.